Planning an amazing day trip from San Diego? Don’t get stuck behind the wheel. Let White Rose Limo make the best of your day-long vacation by eliminating the most boring and frustrating part—the driving. Any of our party buses, limo buses, and shuttle buses can be hired out as San Diego bus charters for groups large and small. We offer affordable rates for day trip packages to Tijuana, Ensenada, Los Angeles, Huntington Beach and more. In fact, our San Diego bus charter service can deliver you to any destination in Southern California, Nevada, or coastal Mexico. Experience the greater Los Angeles Area, Orange County, and the beautiful and historic coastal seaside towns up and down the Pacific like Newport Beach, Dana Point, Manhattan Beach, and more! 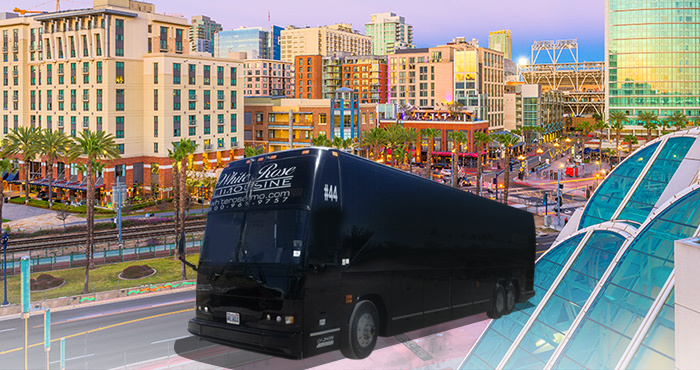 White Rose Limo offers San Diego bus charter tours to Mexico as well. 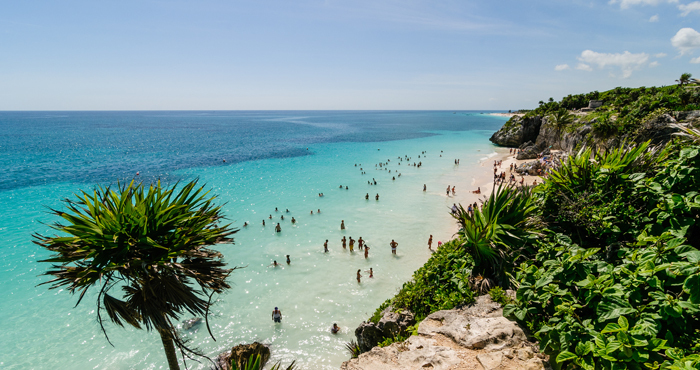 Experience life south of the border and take in the amazing cultural, gustatory, and historic heritage of coastal Mexican towns like Puerto Nuevo, Rosarito Beach, and Tijuana today. Our exclusive packages can be completely customized so you and your travel companions can hit any destination you’d like and be back home the same day. Just remember your passport! Contact us for a free quote today or for help in planning the perfect “daycation” from San Diego. Planning a day trip to Mexico from San Diego? We can help with that. Just minutes from the Mexico/California border, San Diego offers adventurous tourists, wine lovers, and sightseers an amazing opportunity to head south of the border, see everything coastal Mexico has to offer, and get back the same day! Just 20 miles from San Diego’s city center, Tijuana is the fourth largest city in Mexico. Here you’ll find amazing tourist attractions, shopping galore, and cultural exhibits to keep even the finickiest traveler satisfied. The helpful planners at White Rose can suggest tours and destinations for you, or you can come with your own ideas and create a custom San Diego bus charter tour of Tijuana. This massive complex was built in 1982 to house festivals, exhibits, cultural events, and more. The centerpiece is one of the most unique IMAX theaters you’ll ever see. Nicknamed “the Ball” this OMNIMAX theater is bathed in 360-degrees of panoramic images when the sun goes down. The Parque Morelos Zoo is home to over 700 species of animals in a small but well-maintained environment. You’ll also find a ton of food vendors here as well if you get a little peckish while you’re roaming through the open-air exhibits of white tigers, monkeys, and birds. And admission is just 20 pesos! The Avenida Revolucion is home to over 400 shops. If you can’t find what you’re looking for here, chances are you won’t find it anywhere. Spend the afternoon strolling along this relatively short stretch of street and come home with home décor, clothing, tchotchkes, and art all from the same shopping trip. You’ll also find live music, great food, and a pleasant atmosphere perfect for a family getaway to Tijuana. Dubbed “Lobster Village,” this historic fishing village has become something of the ultimate seaside tourist trap for food lovers. With over 50 restaurants crammed into this tiny little town, there’s so much to eat that you’ll never get a chance to sample it all. Whether your San Diego bus charter to Mexico is booked for a tasting tour or if you’re on your way to somewhere farther afield like Ensenada, Puerto Nuevo is the perfect place to stop for lunch or dinner. Sample the best the ocean has to offer. Known as the Mexican Hollywood in the roaring ’20’s this booming beachside community offers visitors excellent opportunities to do everything from sit in the sun to ATV and horseback riding and more. It’s the typical California beach town but across the border in Mexico. If you bring your family (or just your friends) on a San Diego bus charter tour to Mexico, you should at least stopover here long enough to breath in the fresh ocean air and snap a few photos for your Instagram. Tijuana is not only one of the largest cities in Mexico, it’s also one of the closest to San Diego—making it perfect for quick day trips. But just because Tijuana is so popular, you shouldn’t overlook Ensenada. Booking a San Diego bus charter to take you and yours to Ensenada is a wonderful way to dive a little deeper into Mexican cultures and experience this absolutely lovely city by the sea. Take in the amazing Cliffside vistas as the Pacific Ocean stretches out brilliant blue as far as the eye can see. Your day trip to Ensenada from San Diego should include a healthy dose of sightseeing. Here you’ll find amazing natural formations created by eons of wind, water, and tectonic shifting that you simply can’t see anywhere else. Hotspots like La Bufdora, La Lobera, and El Salto Canyon have been calling to visitors for generations. Whether you’re simply booking a tour to Ensenada so you can see these things yourself or so that your entire art group can paint/sketch/photograph these amazing one-of-a-kind locations, our San Diego bus charters are the perfect ride for you. 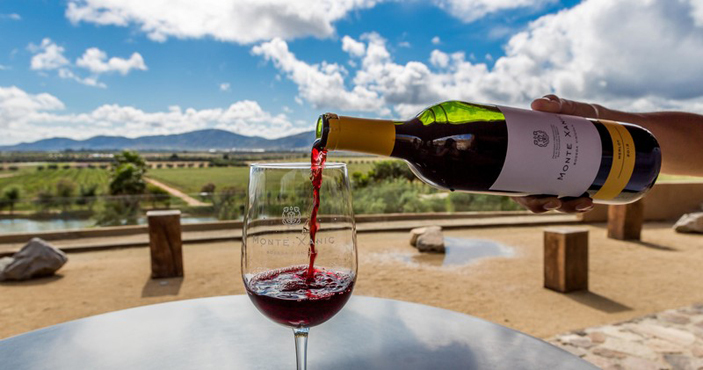 There are dozens of wineries and vineyards in and around Ensenada offering wine lovers days’ worth of pleasure. Here you can sip and sample the absolute best wines the Mexico has to offer from Atp Vinos y Familia to Tres Valles Vitivinicola in The Valley of Guadalupe, you’re bound to find a new favorite when you come to Ensenada with family and friends. Are you a member of a wine lovers group? Gather together and book a winery tour for an amazing adventure none of you will soon forget. 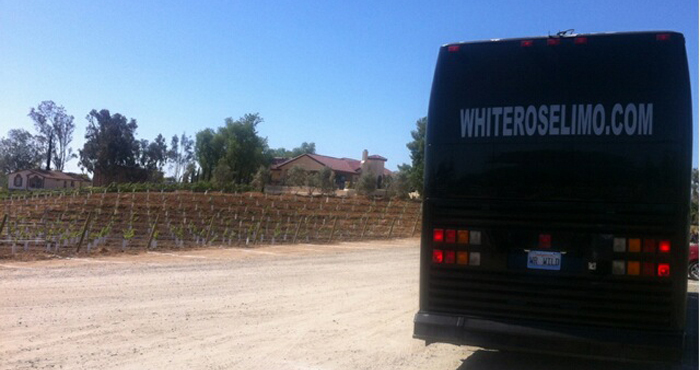 Our San Diego charter buses are the perfect way to experience all the wine without the worry. Split the cost and save! And speaking of wines . . .
A bit “dustier” and “rougher around the edges” The Valley of Guadalupe offers travelers an extreme “budget-friendly” excursion into wine country that—in many ways—is more authentic than its pretentious northern cousin. But just because this “little” paradise is so quaint and underdeveloped doesn’t mean you’ll be short on options—there are over 100 wineries along the Ruta del Vino that serves as Baja main drag. So, if you’re a wine lover, or you know someone who is, White Rose can help you plan the perfect San Diego charter bus tour to Baja Wine Country. We can arrange single day trips into Baja’s Wine Country so enthusiasts can sample from a select few wineries within this fast-growing region of world-class wineries. We can also help you plan multi-day tours so you can include some sightseeing, shopping, or ethnic food exploration as well. No matter how large (or small) your group of travel companion’s is, we have the charter bus for you. 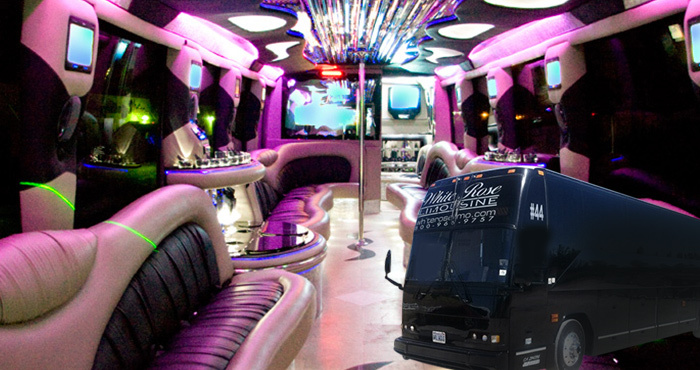 We offer simple shuttle buses all the way up through 16-passenger Sprinter limo buses to massive 44-passenger party buses—all of which can be rented for day or multi-day trips to Tijuana, Ensenada, Baja, and beyond. Whether you have a destination in mind or would like some help from the experts, give us a call at 714-288-0066 or get a free quote online.